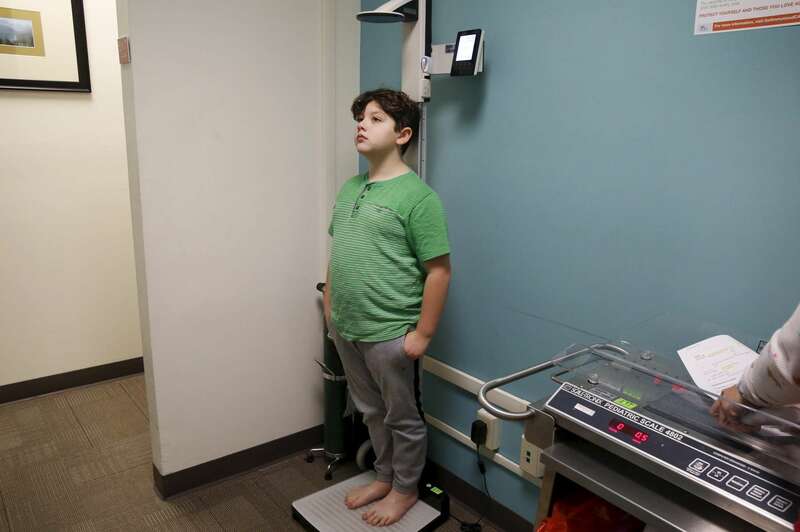 James Kaplan, 9, gets his height measured during an appointment with his pediatric doctor to check on his physical development Dec. 13, 2016 in Berkeley, Calif. Eventually, James will be put on hormone blockers to stop the effects of puberty until he is a young teen. If he still insists on his current gender identity, he will then be put on cross-hormone therapy which will allow him to experience development that aligns with his gender identity.